We hear about it more and more today. From the NFL, to college athletics, down to pee wee football: concussions or traumatic brain injury are causing so many long term problems. 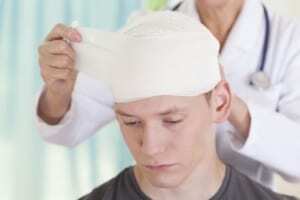 There are estimates that upwards of two million people suffer from head injuries every year. We have seen numerous brain injuries in our time of practice. We have handled motor vehicle accidents leading to brain injury. We have handled assaults that have led to brain injury. 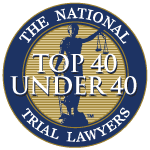 We have handled fall downs and many other types of cases leading to brain injury. Our attorneys understand the difficulties that arise in the wake of brain injury. We have seen clients lose short-term memory. We have seen clients lose the ability to focus, to concentrate and so much more. We understand how these injuries have very specific effects in one’s life. Of course it may be difficult to go back to work. We have experience in proving lost wages or lost earnings capacity as well. We understand that an injury to the brain does not necessarily show up on a CT Scan or an MRI. We are familiar with all forms of objective testing, including neuropsychiatric and neuropsychological testing. Each of us has reviewed numerable reports from neuropsychiatrist and neuropsychologists. We know what to look for and we will understand what you are going through. If you or a loved one has suffered from a brain injury as a result of the negligence of someone else, call us right away. We will sit down with you and go over everything from liability to what you can expect going forward. We will listen to everything you have to say about your experience.